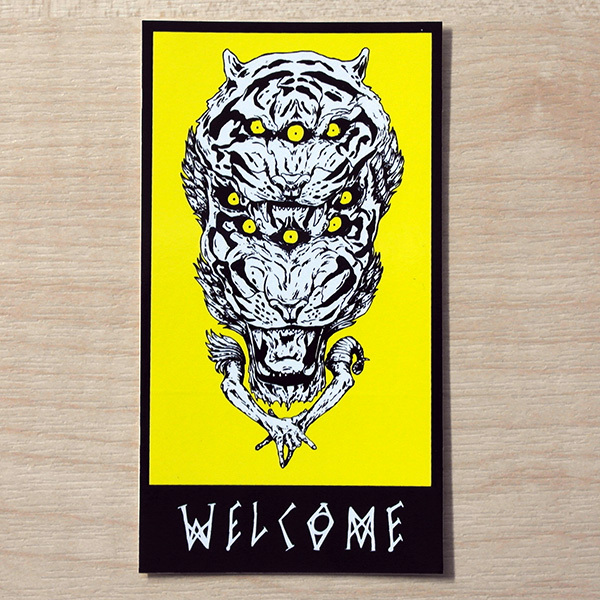 Welcome Skateboards Triger Design sticker. 4″ x 2.25″ Approx. Incredible detail and sharpness in the printing on this sticker as with their skateboards. Welcome Triger design skateboard sticker. Incredible detail and sharpness in the printing.